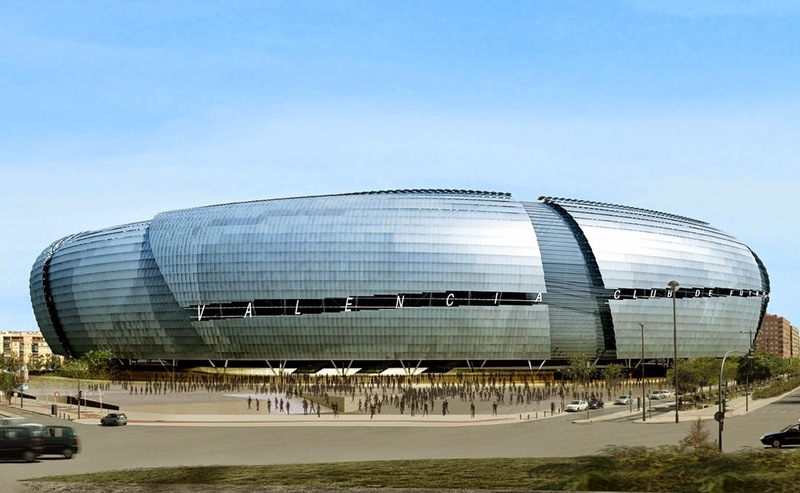 Modern football stadium architecture has been pushing design boundaries for many years now. 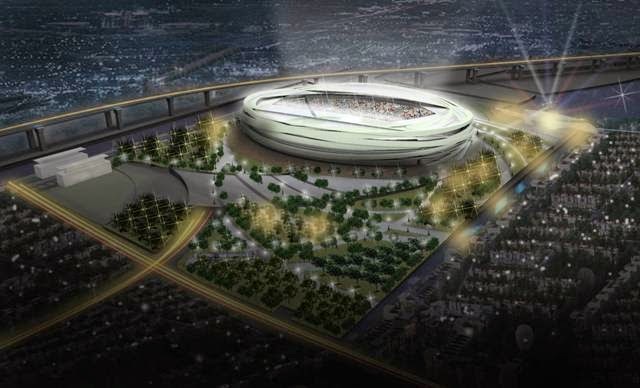 It's great to see that architects are now paying as much attention to football venues as they would to a high-rise in downtown Manhattan or a hotel in Dubai. 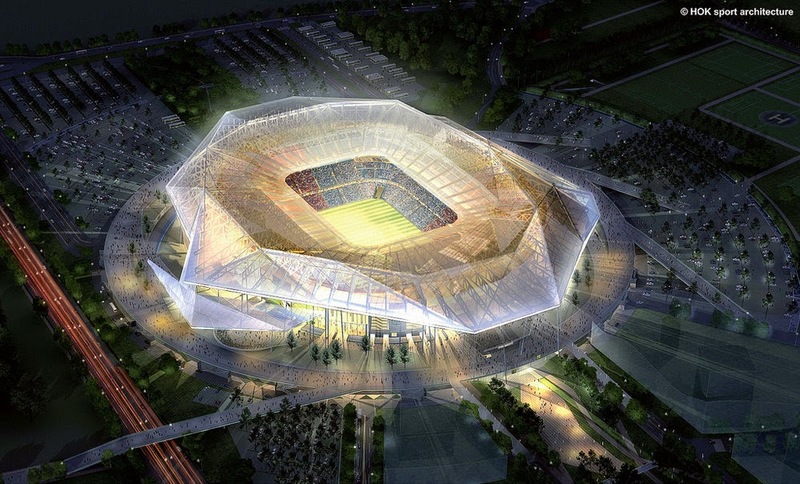 Here are 4 beautiful stadium designs currently in the works in the world of football. Apparently the accronym 'BMW' does not stand for the German car manufacturer on this occassion, as the new stadium in Jakarta is called that after three words Bersih (Clean), Manusiawi (Humanity) and Wibawa (Prestigious). Whatever the case, this stadium is now under construction after some struggles due to a class action suit by squatters who occupied the land where the stadium is to be built. The design however is pretty cool and the 50,000 seat stadium is due to be complete in 2018. The highest capacity stadium on this list, the Nou Mastalla is a stadium that was for a few years now supposed to replace the current home for Spanish club Valencia. 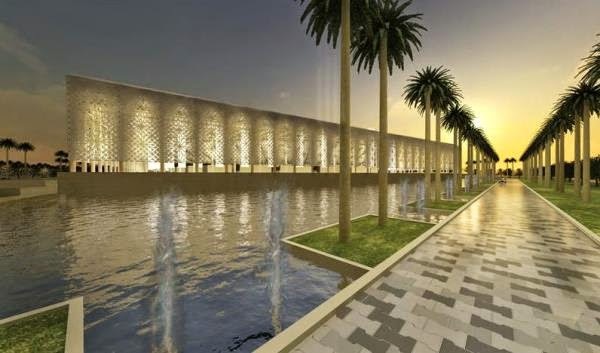 Although most of the main structure has been build between 2007 and 2009, worked on Nou Mastalla stopped when the club was experiencing financial trouble. The future of the stadium hangs in the balance, but is likely to be finished at some point since a part of the structure is already there. Valencia's new home will have the capacity to host 61,500 fans. 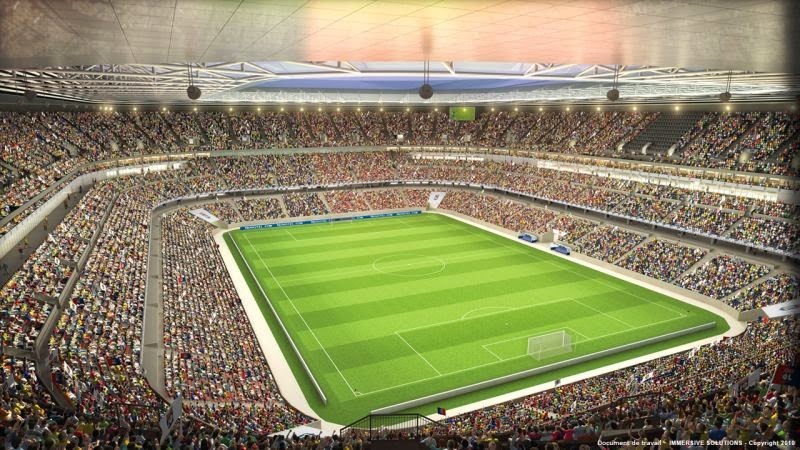 Having been announced as one of the stadiums to host some of the 2016 Euro matches, the Stade des Lumières is scheduled to become the new home of Olympique Lyonnais, replacing current stadium Stade de Gerland. Construction on the new stadium began in 2012 and is scheduled for completion in either 2015 or just before the Euro tournament in 2016. 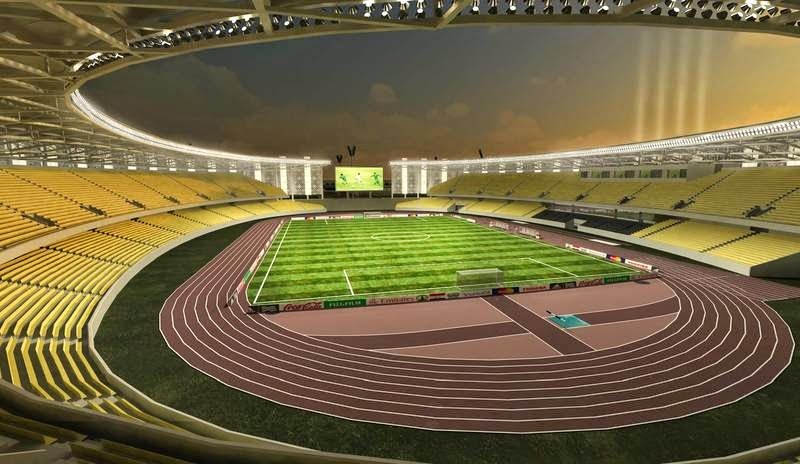 The ground will have a capacity of 58,000. 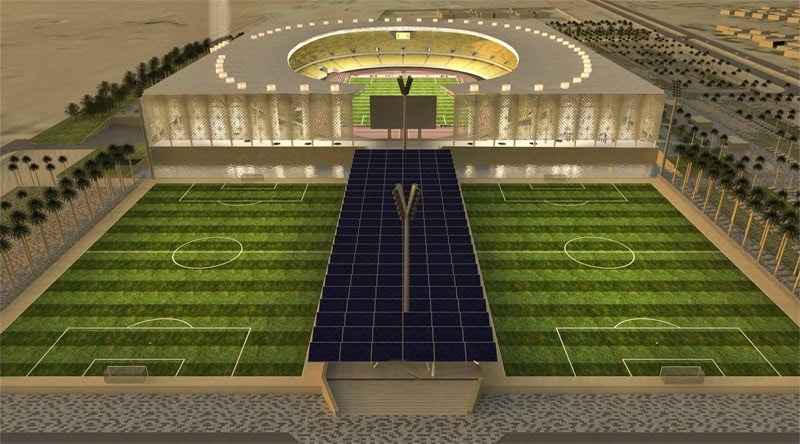 The new 30,000 stadium of Iraqi football club Najaf FC will have the same name as the current 12,000 seater. But the neither the name or the location are the reason why this stadium is on this list. Check out the design. 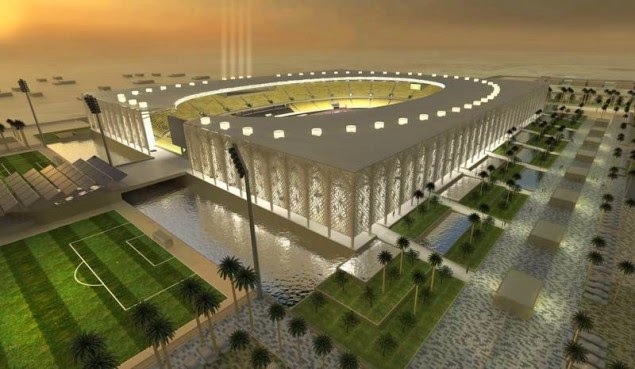 I mean really, this stadium looks like a sheikh's home, or perhaps a luxury hotel in Dubai. Surely unique for a football stadium.